These are the cutest little Cupids! I've been shot! You are so very inspiring and talented! I guessed that they were cupid cookies on your FB sneak peek preview! :) I would LOVE to try making these out of clay to wear! They are so cute!. Congratulations! Great job! These are SOOO cute - I love them! The details are amazing. They're too good to eat. 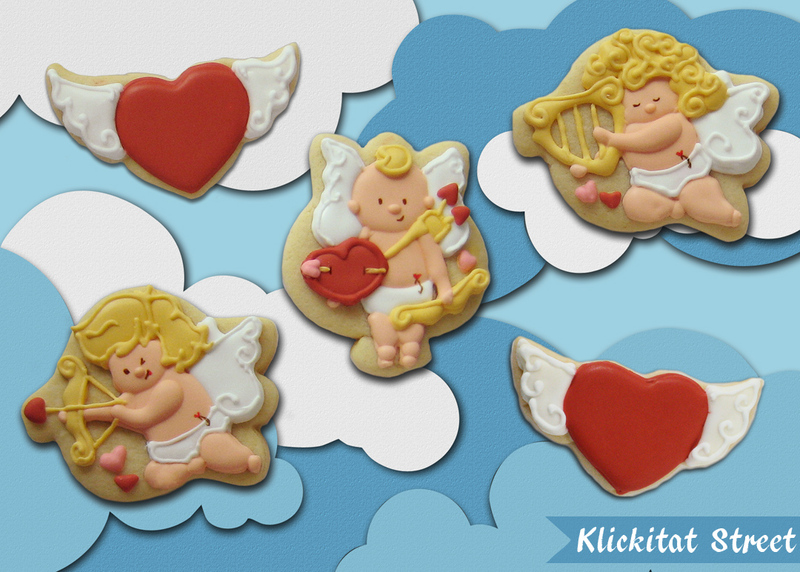 Now these are how cupid cookies SHOULD BE!!! ADORE!!! Unbelievable. Totally unbelievable. And absolutely wonderful. 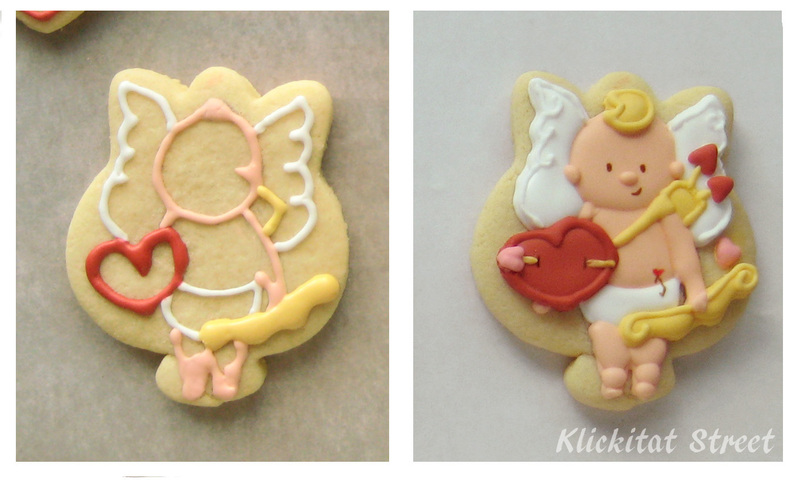 These cupid cookies are adorable! Your cookies are so cute! I have to admit, I made some of the "heart with wings" - but they are easy compared to your cupids! Nice use of the tulip cutter! So adorable, and thanks for sharing the how-to's. LOVE... when I first saw the flying heart I thought you used a moustache cutter. so cute!